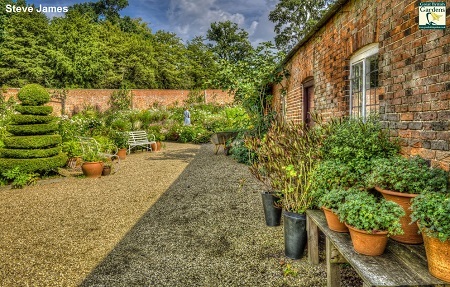 The gardens of Kelmarsh Hall Estate are essentially 20th century in origin and design and are largely attributable to Nancy Lancaster. 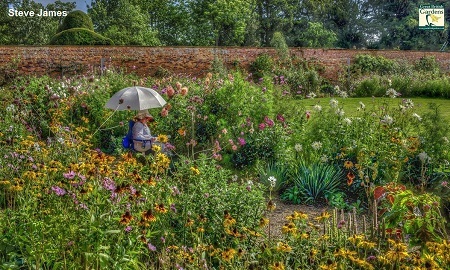 Kelmarsh Hall is another beautiful garden we feature on our guide.There are lumpy hedges pictured here and a pretty sunken garden with pale scented flowers. 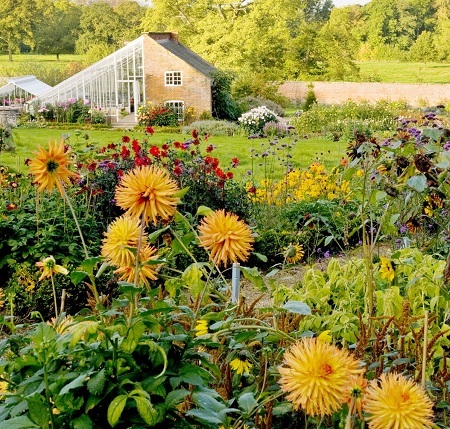 See the colourful double herbaceous borders and the old fashioned Rose garden which has views to the church. The grass terrace below the garden infront of Hall, with its rows of pleached limes on either side, together with the tapis vert, a wild flower meadow beyond, flanked by avenues of red chestnuts leading down to the lakes, was designed by Sir Geoffrey Jellicoe in 1936. The Hall dating from the 1730s was designed by James Gibbs and its interior is well worth seeing. The garden may be open for snowdrop days - see website for up to date details. 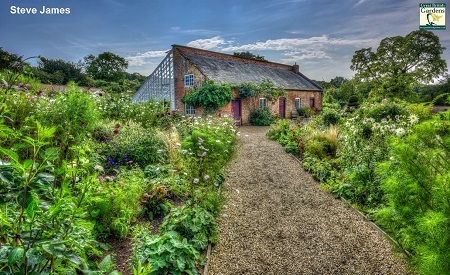 Garden at Kelmarsh Hall open 2019 mid April to October. - See website for full details. House also openGardens generally good for disabled. If you want to take a break near Kelmarsh Hall, why not stay in one of our recommended hotels. Each hotel has genuine guest reviews enabling you to book from anywhere in the world in total confidence. Special prices up to 70% off standard rates as well as hundreds of exclusive deals. Look now - click here.